Do you know that so many people have died because they did not realize who they are or the potentials within them? While some died not realizing who they are. Less wonder it is said of the burial ground to be the richest treasury on earth. These are awesome Collection of Believe quotes to gear you up and make you believe in your ability and the strength within you. Read and put it into action. It is not enough to have potentials but to believe in oneself and harness them. Someone is out there who has what it takes in life, knows what to do but doesn’t know how to start. Everyone, at a point in life, needs some sorts of words to keep going. 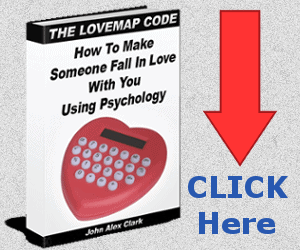 Here are Amazing Believe Quotes you can send to someone to trigger the right spirit to action. 1. Things that are not seen are powerful. But until you search within and believe in its strength, it remains fallow within you. Believe in the power within and make it known without. 2. Imaginations give a vivid picture of your aims. But believing in its reality makes the aim achievable. If you can imagine it, you can achieve it. 3. Wood rots. People die, but things as fragile as a thought, a dream, they can go on and on if you believe in its potency. 4. If your thought pattern is always skeptical, change the way you weigh situations. If it is still skeptical, change the people you listen to. 5. Legends don’t become extremely great by chance. They believe in themselves and took action to be great. 6. You can’t change the way people think, but you can change what you believe. 7. Believe in Your heart. Every other thing might lie to you, but your heart will always be sincere. 8. Believe in your heart that you’re meant to live a life full of passion, purpose, magic and miracles. 9. Keep your mind from negative energies. Whatever you take in births who you become. 10. Always believe in God, it might get rough, but keep trusting. He will perfect every detail about you. It is more important to believe in oneself in life before seeking external aid. The more you believe in yourself, the more you find yourself doing what you never knew you could do. 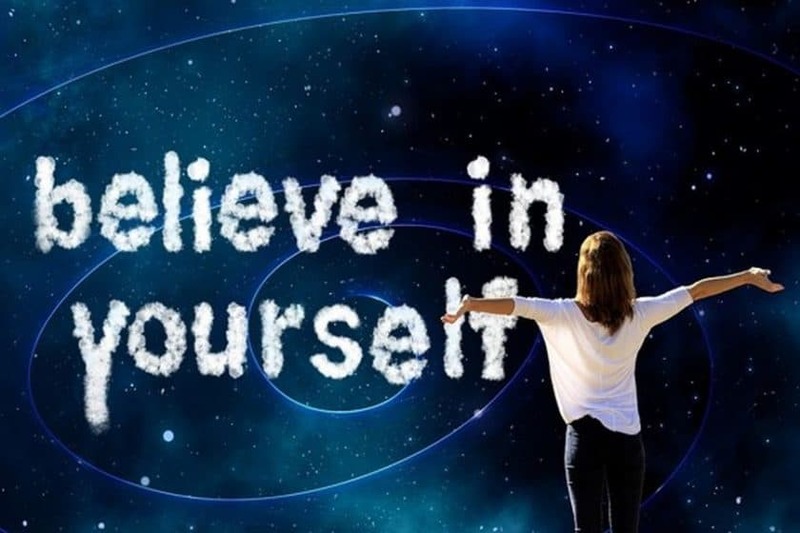 Don’t ignore these Believe in Yourself Quotes to strengthen your trust in yourself. 11. Stand for what you believe in. Be determined to stand your ground and keep living. 12. Even if you have to stand alone, stand and fight for what you believe is right. 13. Great things happen to those who don’t stop believing, trying, learning, and being grateful. 14. Your only limitations are those you set upon yourself. You can shine, be successful and achieve your goals if the bar of limitations is lifted from your belief. 15. Your circumstances do not define you as much as your belief does. Define yourself in positive light by changing your belief. 16. You are the only one who can stop your life from success. So believe in your potentials. Keep dreaming, keep working, keep smiling. You are heading for the best. 17. Never stop learning. 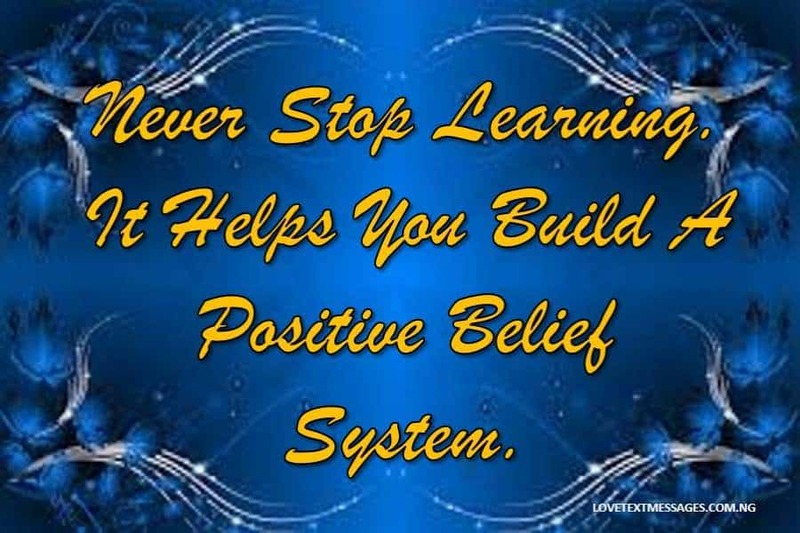 It helps you build a positive belief system. 18. Keep believing. Keep loving, don’t get discouraged. Things will work out well. 19. Don’t let the limitations of others limit your vision. Your visions differ, choose what to believe in your heart and work towards it. 20. You don’t need the validation of others to succeed. You have all it takes. Believe you are strong enough to fulfil purpose and you will fulfil it. Going through life successfully requires a positive mind. Everything about life seems discouraging but believing that you can have something good out of Life brings you into a good start of the journey of life. Life can be much meaningful if you can believe it is beautiful to you; that is where the strength to overcome lies. Here are strengthening Believe Quotes About Life you can digest and send to loved ones. 21. If you can remove self-doubt, self-pity, self-judgement and believe in yourself, you can achieve what you never thought possible. 22. Don’t give up on something you truly believe in. Keep keeping on, you will find a way. 23. Stop focusing on how far you have to go. Focus on where you are now and believe in yourself for a beautiful future. 24. The first person you should believe in is yourself. You cannot believe God if you cannot believe yourself. 25. Being at peace with oneself births harmonious mindset that leads to success. 26. Have faith in your abilities. You can achieve more when you begin to believe you can. 27. Believe in yourself. What everybody else believes about you doesn’t matter as much. 28. Without a humble but reasonable confidence in your own powers, you cannot be successful or happy. 29. Believe in yourself, follow your dreams, aspire to success. Don’t give in to naysayers and keep on living. 30. Take on your challenges and dig deep within you for the right answers to break down whatever might be holding you back. 31. Dig deep within yourself to conquer all of your fears. Only you can help you let go. 32. Once you believe you can’t, then you truly can’t until you change your belief. 33. Never let anyone bring you down. There are treasures ahead for you, you’ve got to keep going. 34. When you take the step towards success, obstacles do come, but you must be determined and believe in yourself to reach the goal. 35. Don’t let fear or insecurity stop you from trying new things. You are stronger than you can ever imagine. 36. Do what you love, believe in yourself and most importantly, be kind to others, even if you don’t like them. 37. I believe that God has put talents within us. It is now up to us to believe we can bring out something beautiful from it. 38. The world is filled with stress. But within this stress, there are people who believe they can make good out of it. What do you also believe? 39. To handle some certain steps to greatness, you need to believe in your God-given strength. 40. To believe in yourself, always seek out for the person you know you are. Introspect and walk head high with your realization. 41. Don’t let anybody tell you anything different from the positive things you believe about yourself. 42. Everyone is special and everyone is awesome, but you will never see it as such until you begin to believe in yourself. 43. Taking a step is always hard, but once you believe you can go far, no matter how hard it is, you can keep moving one step at a time. 44. Have faith in your own abilities. What everybody else says is to celebrate you, but celebrate yourself first by believing in your abilities. 45. Take actions. Believe you can achieve anything. Involve God. Get to work and there is nothing you cannot accomplish. 46. Believe you are great. Talk to yourself daily until your mind gets fixed on the reality of your word. 47. Hands down completely until you believe in your prowess. Start out again with positive mindset until you achieve. 48. To excel at the highest level or any level, really you need to believe in yourself. 49. One of the biggest contributors to believe in yourself is the power to stay with yourself and speak the truth that no one else will to yourself. 50. In our everyday life, we have different things we go through that throws our confidence off the bridge, but you need to sit tight and believe you can overcome every huddle. 51. It is important to know that what you face shouldn’t determine what you believe. Believe in something greater than what you face and it will gradually come to light. 52. Always believe that you’re going to win in the end. 53. Your faith must be backed with believing before your desires can come to fruition. 54. You’ve got to believe in God, know that He’s going to get you through it. 55. Believe with all your heart. Imagine it, fix your mind not to weaver and keep living the good life. 56. Achieve with all your might, but you can only become extremely great if you believe. 57. You have to have your own belief. Everyone else has theirs that makes the world. 58. Never discourage anyone who makes positive progress no matter how slow. Make their belief healthy by your healthy belief. 59. Walk your talk and believe in the advice you give. It will be of help on your path to success. 60. At the end of the day, what you eat and drink do not get you anywhere far, it is what you believe that births your best. 61. Your potential can be of waste if you keep on believing it doesn’t look good. Work on your gift and take action. 62. Everything beautiful in the world is within you. Believe in its potency and birth the best of yourself. 63. When no one else sees reasons to keep believing, look within and light yourself to be the light for everyone. 64. Believing that your past is healed is one of the safest ways to keep living unhurt. 66. You are what you believe and your belief has a great role to play in your words which later becomes your lifestyle. What do you believe? 67. God has given us victory over every trial we might ever face, but it’s up to us to believe that victory is ours. 68. When you see an absurdity around and you take actions to correct, pick your belief along with you. It might be all you will need to effect the change. 69. Believe in your ability to make sure your family is standing strong. Do your best, but always believe in God to perfect it. 70. You can make a difference, you can effect a change. Keep believing in yourself and see how to make yourself into work.